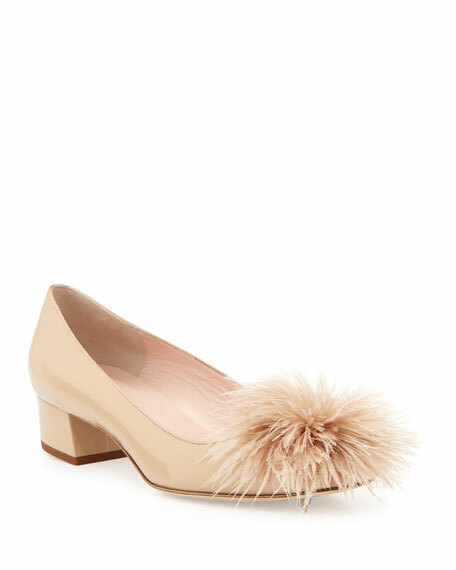 kate spade new york patent leather pump. 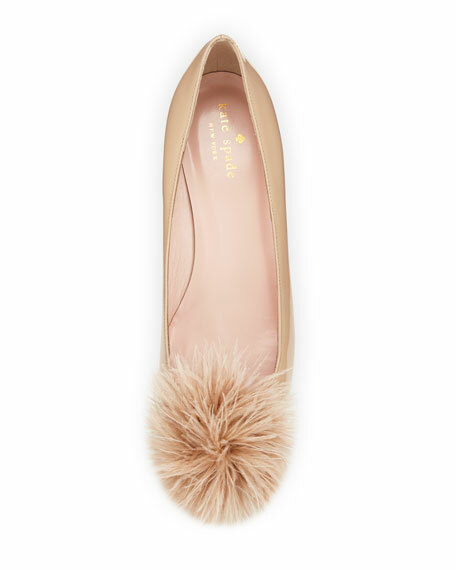 Square toe with ostrich feather pompom. For in-store inquiries, use sku #1574704.